Knowing all too well that it would end. I think it’s safe to say the Great Correction of 2018 is here. Heck, most would say I’m a permabull. And based on what we’re seeing, I’m absolutely convinced this is just the beginning of a very serious market correction. 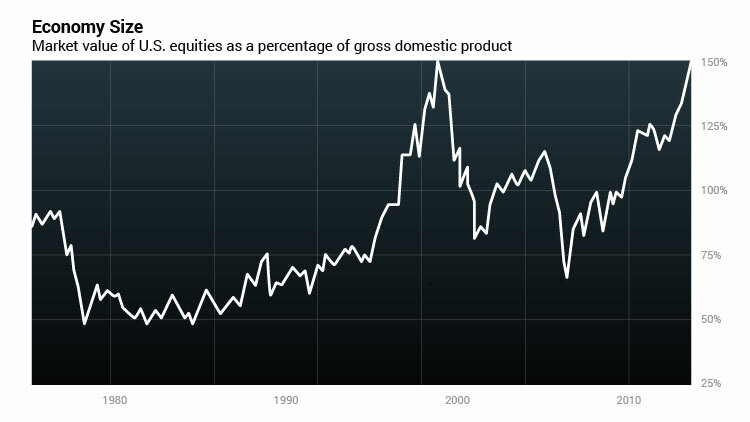 It’s no secret that stocks are wildly overvalued. Companies are now trading at 32 times earnings. 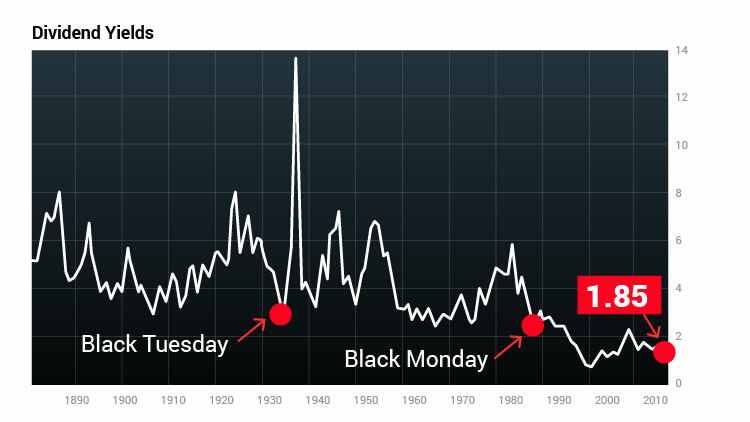 But the value of today’s market is almost perfectly in line with where stocks were trading on Black Tuesday in 1929. 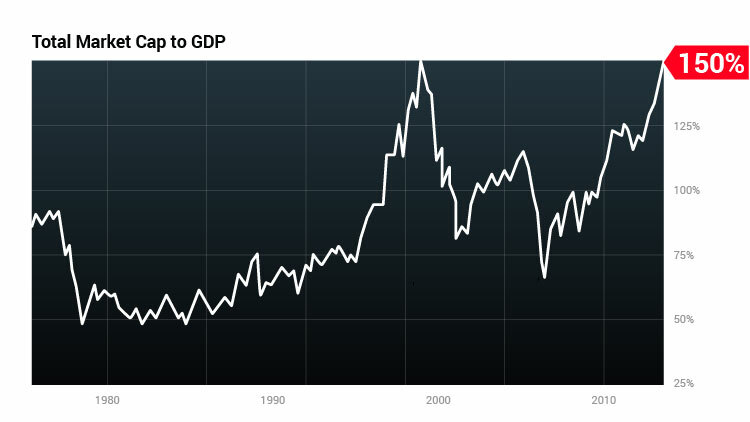 The total value of U.S. equities is now nearly double our entire U.S. GDP. We’ve seen that only one other time... before the dot-com collapse. 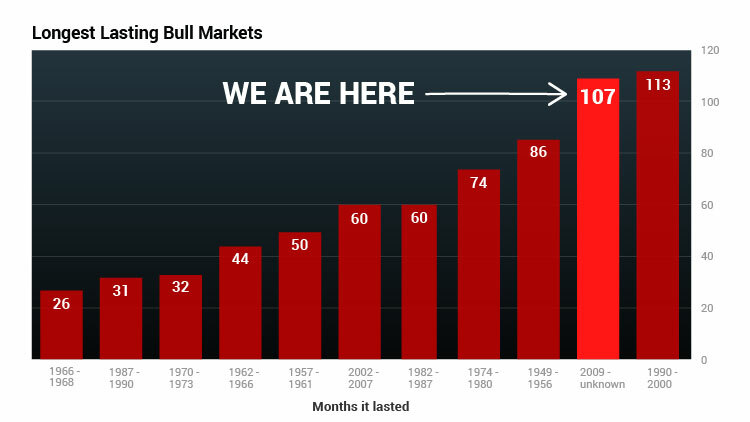 We are now in year eight of one of the longest-lasting bull markets ever. That this situation is creating perhaps the easiest way to get rich in your lifetime. No, I’m not talking about shorting stocks. Shorting is expensive and risky. 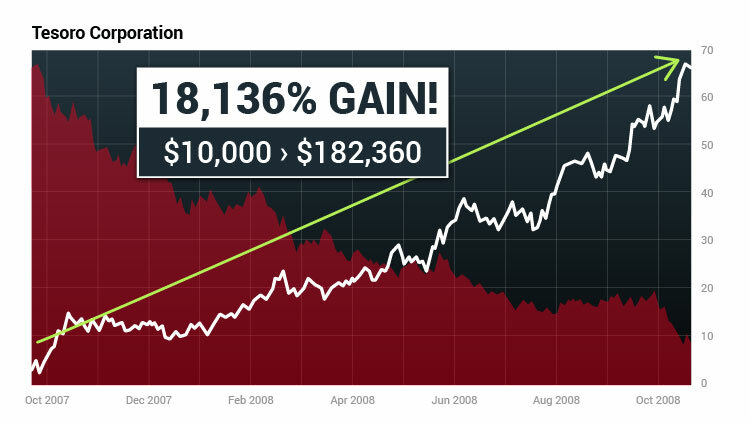 Instead, I’ve created this presentation to show you a very different – and much safer – approach to get rich on the most predictable market correction in a generation. 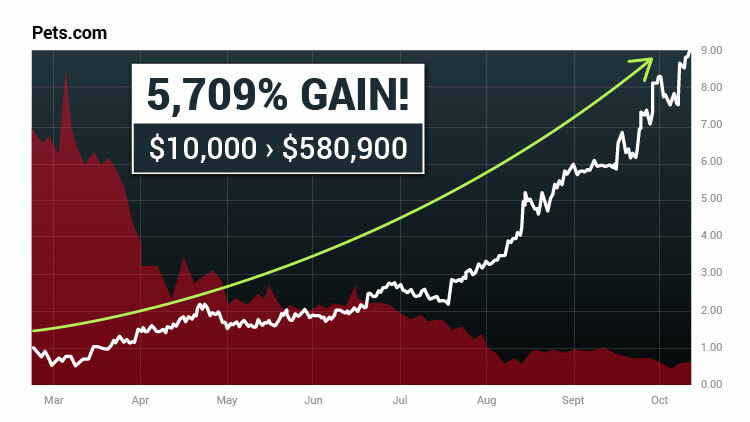 The fact is, looking back at major corrections, one obscure investment could have helped you capture windfall gains as high as 5,269%... 9,125%... even a rare 50,533%. 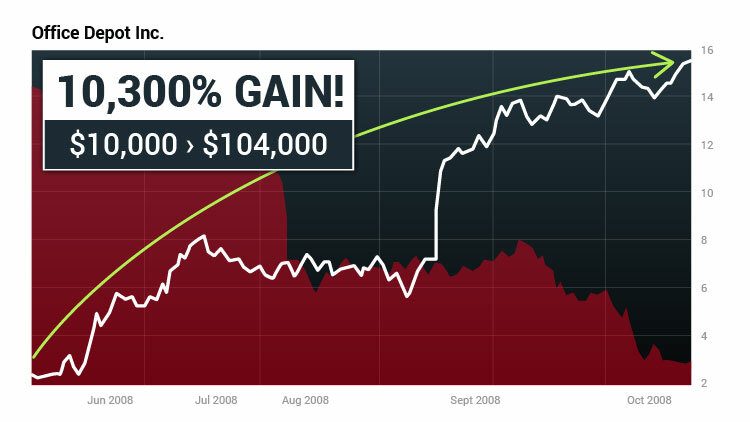 One 50,533% gain is enough to turn $10,000 into more than $5 million! That’s life-changing, to say the least. The worst mistake you could make right now would be to run away from this crash and go to cash. And doing so could cause you to miss out on the biggest profit opportunity of your lifetime. I’m talking about the chance to collect gains perhaps a hundred times larger than normal. You see... any time there’s a market correction... most stocks get hit. As co-founder of Bespoke Investment Group Paul Hickey puts it, “When people view the stock market as an ATM machine, the market is going to fight back." There are always a few companies that are so mismanaged... so overvalued... and in such terrible financial shape... that they’re destined to fail in spectacular fashion. You see it in every market correction. Take a company like Pets.com. A quick look at its fundamentals during the dot-com bubble would have told you this company was a complete disaster. Yet spent $11.8 million just on advertising... including $1.2 million on a single super bowl ad! Selling merchandise for approximately one-third of the price it paid to obtain the products. Sure enough, just 268 days after IPO’ing, the company went bankrupt. Thanks to the simple type of investment I’m going to show you today. That would have turned every $10,000 into $580,900. And remember: That’s without shorting. In the 2008 financial crisis, there were other companies destined to fail. The company was overleveraged and doomed when real estate prices dropped. Going from a high of $50 in 2006 all the way down to $0.44. Thousands of investors got torched. And bagged a huge 27,260% gain. Imagine turning $10,000 into $2.7 million. That’s what I want to show you how to do today. With the unsustainable bull market finally dropping, the profit opportunities are going to be as big as any we’ve seen. And I can tell you, it’s not hard to spot those companies that are destined for collapse. 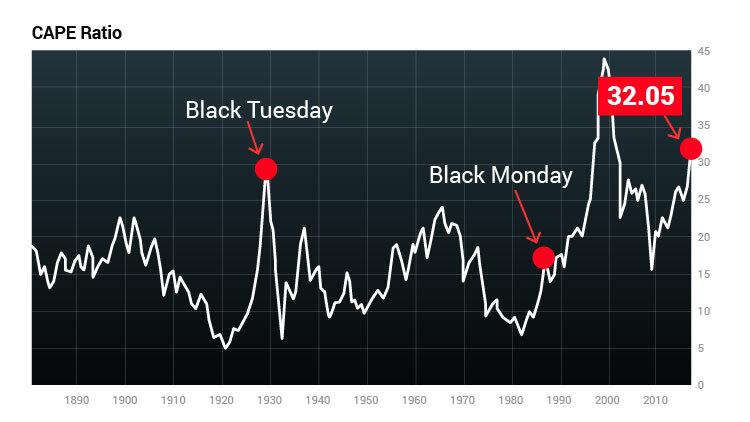 We are at the end of one of the most outrageous stock market bubbles of all time. We’ve already touched on the crazy valuations after a nonstop eight-year bull run. But investors should also consider that corporate debt is out of control. Well below the 25% average. Which means now that stocks are starting to turn, the drop for specific ones could be MASSIVE. Don’t get caught up in denial. 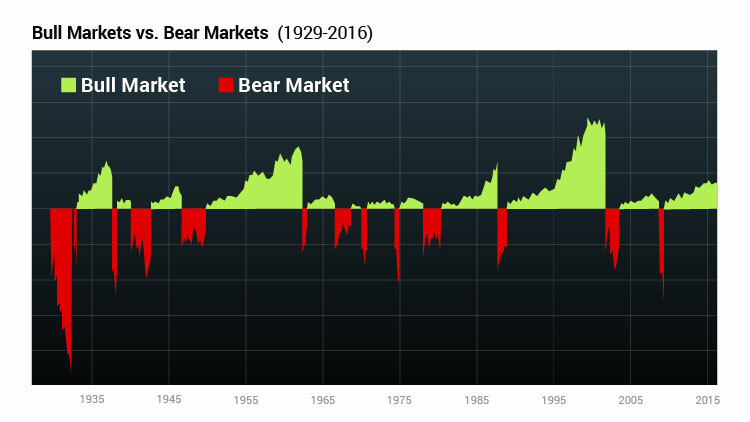 We’ve seen enough crashes to know – without a doubt – all market bubbles eventually burst. Based on my extensive research, I predict this next correction could be one of the largest in history. It could be the most profitable event of your life. This is as great an opportunity as you can ask for. 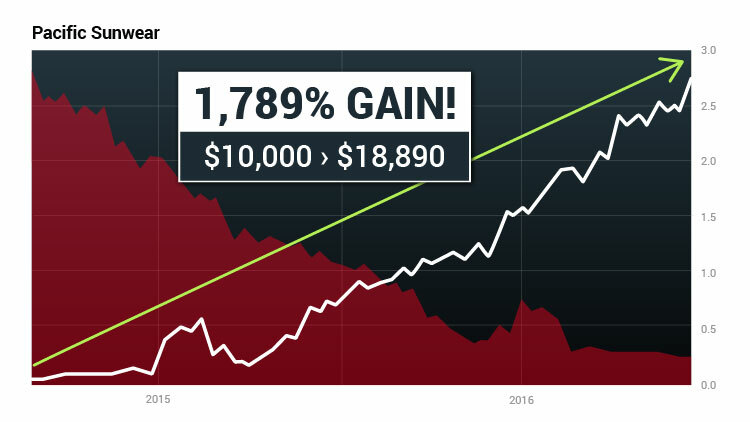 Because with the type of investment I’m about to show you... you could make dramatic gains of up to 1,000%-plus in perhaps the most predictable set of moves I’ve ever seen. Yes, you could go to cash or try to ride it out. But people never realize that a big market correction is one of the easiest and most reliable ways to get rich. 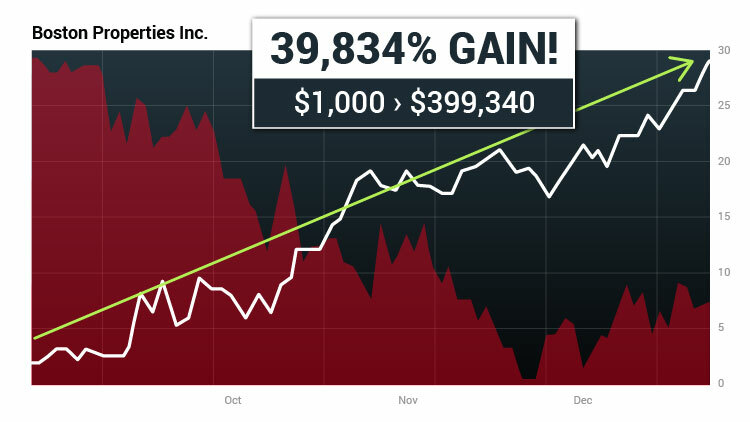 It’s Your Choice: An 84% Loss or a 2,896%+ Gain? These are the companies that are so mismanaged, so suffocated in debt and so completely doomed... that it’s a virtual certainty they’ll go to zero. You could potentially make hundreds of times your money in the coming weeks when these worthless companies fall. And within minutes, you can be on your way to collecting tens of thousands of dollars from today’s most predictable ticking time bombs. Every time a market correction hits, it weeds out the bad stocks that have been pushed up on nothing but hope. I’m talking about companies like Impax Labs. And the FDA kept ignoring reports that they were ineffective. It was obvious to me that this company was a total disaster. Not the investors who got dragged down with them. And walked away with a 1,034% gain. And walking away $11,340 richer. Endo International is another perfect example. 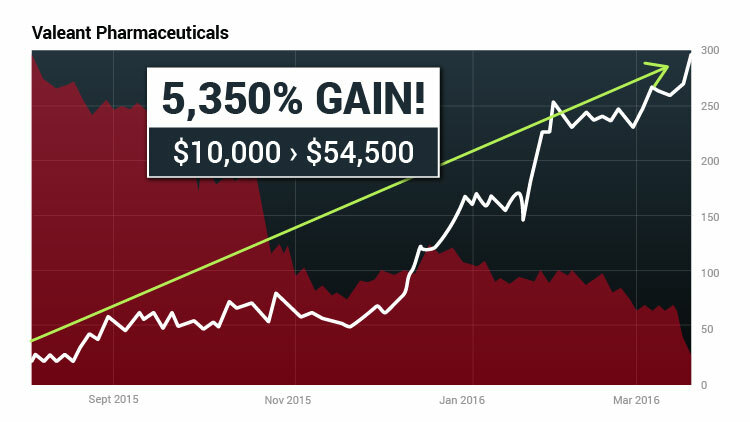 A couple of short years ago, this specialty pharma stock was trading at nearly $100 per share. Despite the fact that it was hemorrhaging cash. The company’s shoddy management... constant delays in regulatory approvals... and perpetually increasing debt... led to massive losses of $53 million one year and $118 million the next. Why people would line up and pay $100 per share to lose hundreds of millions is beyond me. Until the market correction hit. That’s when everything changed in one predictable moment. And those investors lost thousands. This company’s tailspin was 100% predictable. You could’ve used the type of investment I’m going to show you today to turn this disaster into an impressive 2,896% gain. That’s enough to turn every $1,000 investment into $29,960. I’m talking six times larger than Enron. Allegedly awarding himself a $366 million personal loan from the company’s own account. As the stock plummeted more than 98%... from more than $64 to about $1. Anyone with a decent grasp of accounting could see this company was going down in flames. And walked away with a lofty 7,712.5% gain. That’s enough to turn every $1,000 investment into $78,125. $10,000 would have delivered a $781,250 payday! I want you to just stop for a second and think about that. If you took $10,000 out of your trading account today... and turned it into $781,000... how much of an impact would that have on your life? Would you finally be able to retire... pay off your mortgage... take the vacation you’ve been dreaming about for years? It’s entirely possible if you can identify the worst stocks around... and use my special investment strategy to make your portfolio soar. Today, you’re going to see how it’s possible. They’re all but guaranteed to go bust. Especially when we’re on the heels of a major correction. Like a first responder at a disaster scene, you want to be running TOWARD these catastrophes. Because the facts are undeniable: Spotting them can reward you with far bigger paydays than a stock going up ever could. Take a company like Community Health Systems, for example. Company shares recently crashed 78%. And turned every $1,000 into $19,182. And it fell almost 87% in the course of just one year. But you could have walked away with $20,592 for every $1,000 you invested. Refco Inc. is another example. This stock took a nosedive to the tune of 99%. And turned every $1,000 into $54,306. Then we have Boston Properties Inc... the granddaddy of them all. The collapse was staring everyone in the face. 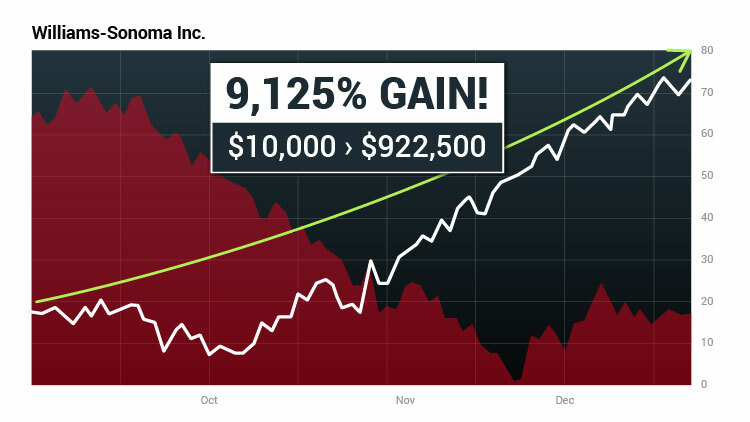 $10,000 would have paid out nearly $4 million on one stock! And prove to you that identifying these stocks is one of the simplest – and safest – ways to become wealthy. And for most of my career, I’ve been a permabull. Take my research service Prime System Trader. It’s been proven to increase market returns by 300% to 600%, while cutting risk by as much as half. Designed to target companies with the biggest potential and best probability for collecting huge short-term profits. 1,889% on Boston Beer Company and 2,733% on Columbia Sportswear. I wanted to help everyday folks take advantage of the huge opportunities this roaring bull market was presenting. 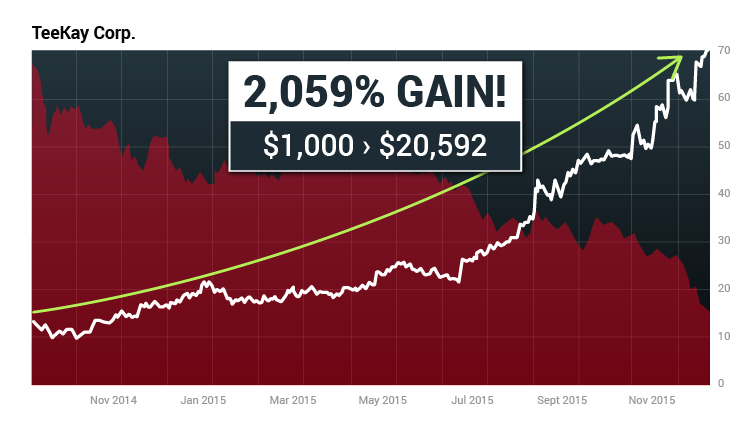 With gains eclipsing 2,000%, it’s been an incredible and profitable ride for my readers. However, several “red flags” started to show up in my research. And they indicated that an inevitable correction was on the horizon. I knew I needed to act fast. One that would help my readers score huge profits from the most overinflated stocks on the market. In other words, the market’s biggest ticking time bombs. And that it’s only going to get worse in the days and weeks ahead. More commonly known as CAPE. It’s widely regarded as one of the best yardsticks of whether shares are overvalued or undervalued. Since 1881, the CAPE has averaged a score of about 15. Over 135 years, that’s the norm. The stock market tended to perform well. In years when it was higher, returns tended to be bad. Today, the CAPE ratio is more than 32. That’s more than double the average! And in the last frantic months of the dot-com bubble. Today, it would take a market decline of 40% or 50% to get the CAPE ratio back to a level that makes economic sense. Warren Buffett’s methodology is also suggesting that stocks are significantly overvalued. Well, currently the ratio of total market cap to GDP is around 140%. When it reached nearly 150%. Which currently shows the lowest bullish energy ever – even lower than in 2008, just before the market crash. And notes that bullish sentiment is finally hitting that “euphoria” stage. The Great Correction of 2018 is here. The 1,175-point drop in the Dow was just the beginning. Don’t be blinded by the oblivious investment advisors who are reportedly more bullish today than they’ve been at any time in the last 30 years. The facts convey a completely different story. My message to you now is that you don’t have to suffer when the market falls. When the most obvious stocks wind up six feet under. You can always find companies headed toward disaster. And you can make mountains of money off them. Take a company like HealthSouth. But if you looked even a little bit below the surface, you would’ve discovered a story of sketchy ethics... tyrannical leadership... and horrible financial accounting. It was fueled on debt. And cash flow – the lifeblood of any business – was in shambles. And instead walk away – unscathed – with a 5,269% gain. 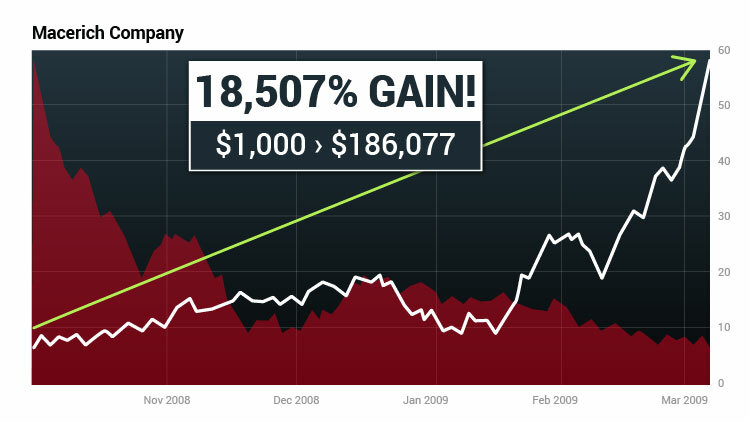 Fast-forward to 2008 and look at a company like Williams-Sonoma. Anyone could see that a $60 wooden spoon isn’t exactly going to bring in customers when times are tough. The company was essentially burning cash as its balance sheet showed a 77% drop. Earnings per share plummeted by double digits. Dropping all the way from $17.69 to $7.95 – in just 15 weeks. 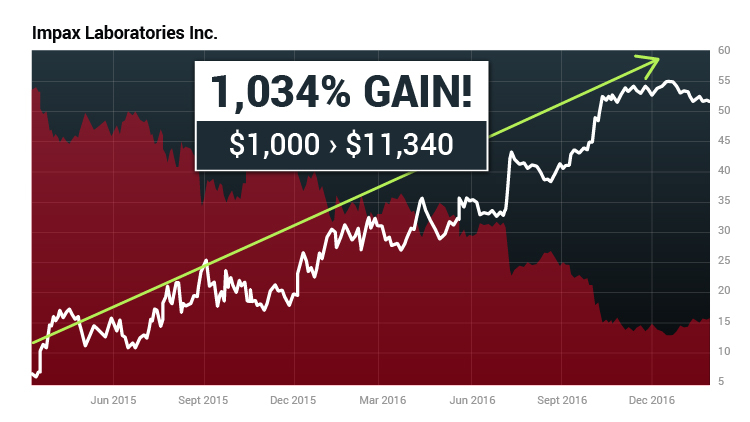 You could have scored a 9,125% gain on this company. That’s enough to turn $10,000 into $922,500 – nearly $1 million! And all that cash could have been yours if you’d seen what was happening. The same goes for American International Group. The company took on more than $500 billion worth of credit default swaps. $500 BILLION in risk for a $150 billion company. That’s the definition of overleverage. Clearly, things could go bad in an instant. Going from powerhouse to charity case virtually overnight. In fact, over the course of just one weekend in September, the amount of money AIG owed shot up from $20 billion to more than $80 billion. And investors from losing $960 for every $1,000 they invested. It was a loss of epic proportions. But it didn’t have to be. 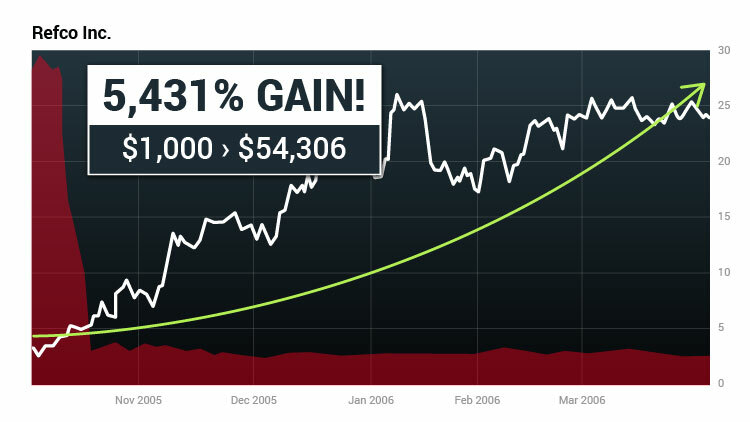 In fact, thanks to one simple investment, you could have turned this powder keg into an extraordinary 50,533% gain. That’s enough to turn every $1,000 into $506,333! That’s life-changing money. Especially when everyone else is panicking and LOSING their shirts. There are dozens and dozens of similar situations every year, even when markets are in full bull mode. 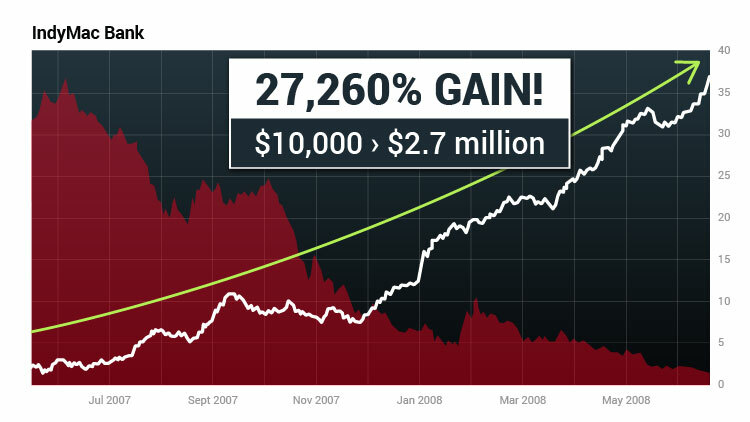 For example, in 2009, stocks were up 26% from their bottom. But still 784 companies dropped more than 90%. In 2013, stocks were up 34%. But still 761 companies dropped more than 90%. And this year, with a great correction already underway... you can believe there will be hundreds, probably thousands more stocks ready to collapse. The fact is... you can always find deeply mismanaged companies on the brink of disaster. I have to tell you, it’s FAR EASIER to spot a bad company that will plunge off a cliff than it is to find those rare gems that actually go up in value. Take a company like Tesla, for example. For years now, the company has been losing money hand over fist. 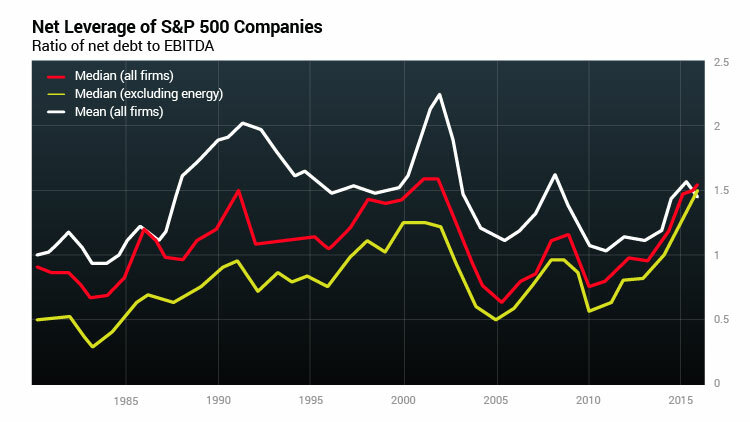 Heck, even its operating profit margins are in the red. This bull market has pushed the company to an unbelievable valuation of $41 billion. That implies a market value of almost $500,000 for every car it produces! And as ridiculous as it may seem, the company’s not alone. There are tons of ludicrously overvalued companies out there right now just like Tesla. And I’ve created a very simple way to target and profit heavily off the worst ones. It all has to do with the proprietary system I mentioned earlier. To put it simply, my system pinpoints the most overvalued stocks on the market at any given time. Including my Projected Price Indicator, which can actually predict – down to the penny – how far a stock will fall. To begin, I search for companies with regressive sales growth. I’m basically looking for a company that’s selling less than it used to. This is a good indication of more bad things to come. Next, I look to see that the company’s earnings are falling. Another clear indicator of trouble ahead. Third, I evaluate the company’s downward projections. I want to see that earnings are not only currently down... but are expected to continue going down. I enter the data into my proprietary Projected Price Indicator equation. And the No. 1 reason I’m able to identify such lucrative opportunities. And then, based on that information, predicts exactly how far a stock is set to fall. In just a matter of months. And – I promise – without shorting! Look at a company like Enron. The idiot king of all mismanaged companies. But people forget that prior to its demise, people on Wall Street loved Enron. We believe that Enron should be compared to leading global companies like GE, Citigroup, Nokia, Microsoft and Intel, and that its valuation reflects this eminence. This was just nine months prior to the collapse... and these guys were clueless. But even the most basic scan of Enron’s business would have told you the truth. It’s just the type of rancid stock my system would have been able to identify back in 2001. The company saw $700 million of net earnings disappear... and $1.2 billion of shareholders’ equity vanish. 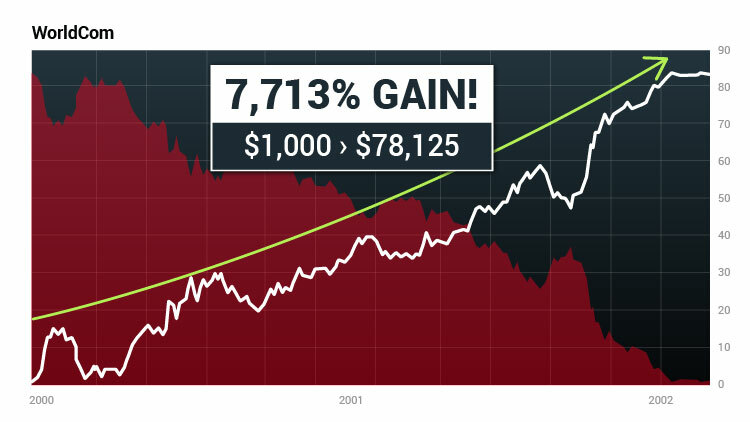 From December 2000 to December 2001, the stock tanked more than 99%. Potentially losing thousands and thousands of dollars. But, had my system been around, you could have found yourself in a completely different boat. 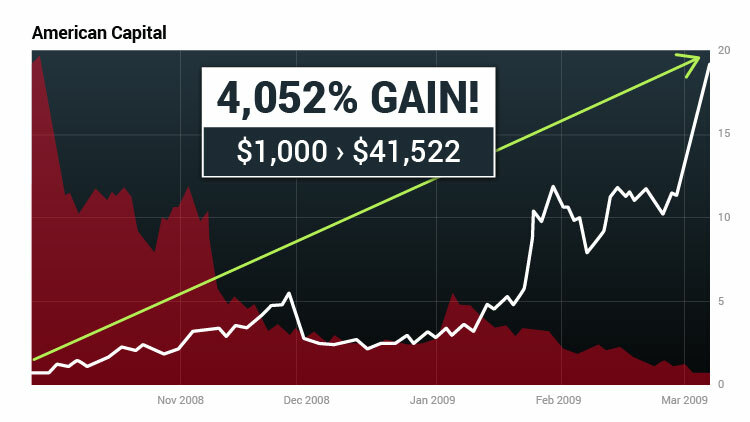 You could have used the simple investment I’m going to show you today to turn that sinking ship into a 4,540% gain. Back before the dot-com collapse, this loose cannon was trading at nearly 3,500 times its P/E ratio. And turn every $1,000 into $13,087. There’s only one other time in history we saw stocks as overvalued as they are today. And new internet-based companies were popping up every single week. You could have gotten insanely rich on the biggest disaster stocks of the time. I’m talking about companies just like eToys.com. Yet it had zero earnings. 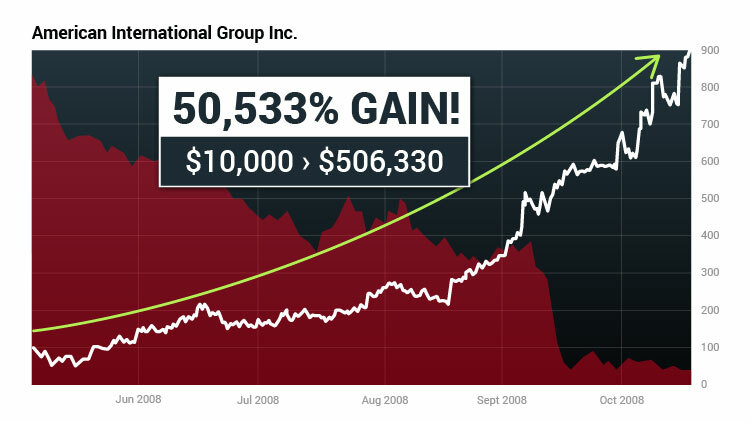 But with my special type of investment, you could have turned this company’s demise into a quick 1,084% gain. Then there’s Webvan.com, an online grocery shopping service. This company was swimming in debt. And an accumulated deficit of $830 million. Were shocked when the stock drove off a cliff. This company was clearly doomed. Enough to turn every $1,000 into $114,750. Just like the dot-com collapse, the Great Recession saw hundreds of stocks blown to smithereens. Extreme valuations... overleveraged debt... falling profits. But, as Alan Greenspan would say, investors were too caught up in irrational exuberance to take notice. Everywhere you looked, there was a severely overvalued company. A quick look at the company’s fundamentals and would have told you it was destined to miss on earnings... its net profits were falling... and its overall business model was being called into question. And smart investors could’ve collected a 10,300% gain. 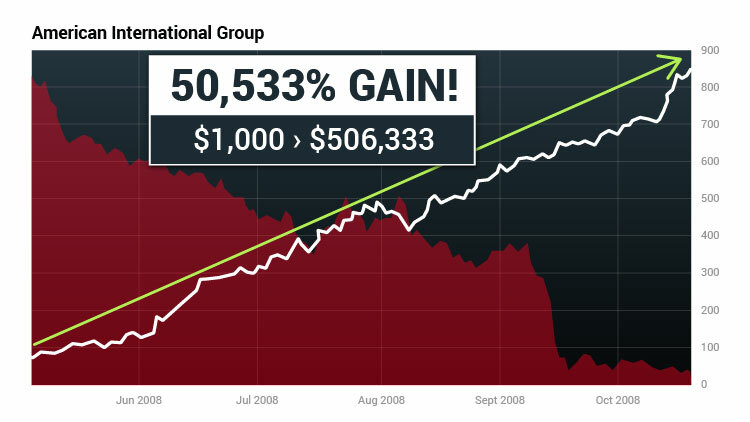 Or even an incredible 50,533% when AIG fell 96%. Will the Great Correction of 2018 Be Next? And is always followed by a bear market with a sizable decline of approximately 40%. Mark my words, this next correction is inevitable. Especially when you consider we’re currently seeing so many of the same crisis signals. 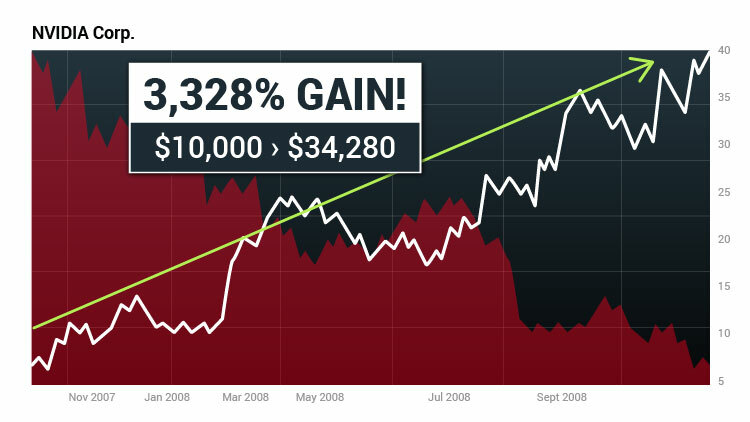 You can make HUGE money when stocks go down! 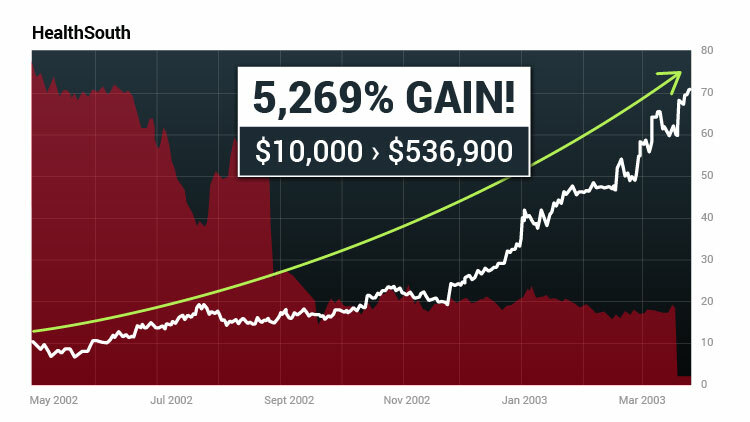 Some of the biggest moneymaking opportunities I’ve ever seen came right in the middle of a correction. And those who knew it beforehand were able to make money hand over fist. It’s not the only time you can cash in on the simple investment strategy I’m going to show you today. But even in the best market, most stocks don’t go up. They go down. And virtually 93% of the stocks it analyzed underperformed the S&P 500. Your chances of landing on one of the big winners in the 7% are pretty slim. Take Valeant Pharmaceuticals, for example. By now, you’ve likely heard all about this devil in disguise. This was a financial time bomb waiting to go off. I’m sure it set back the retirements of thousands. This could have been your biggest win of the year. 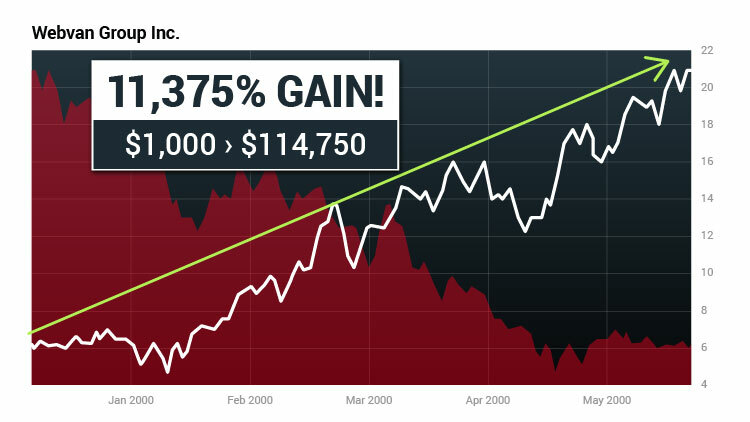 In fact, you could’ve played this train wreck of a stock for an impressive 5,350% gain. The same goes for a company like Pacific Sunwear just a couple years ago. It was only a matter of time before creditors started knocking down the doors. 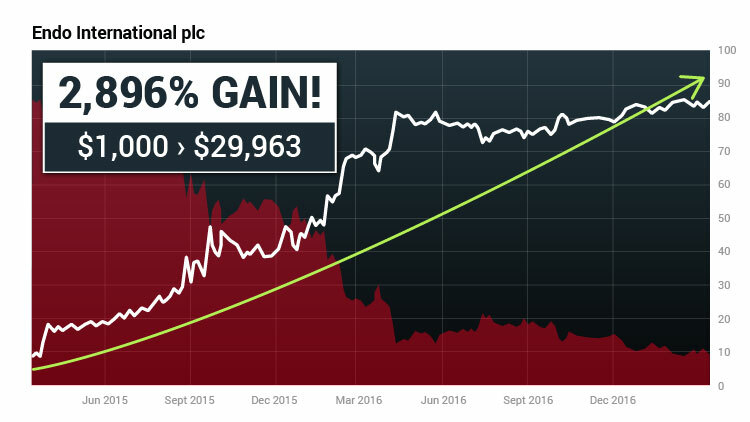 Collecting a 1,789% gain when this fad fashion retailer plunged 83% in just six months. But when the market starts dropping... watch out. Because these dogs will be the first to fully collapse. And collect gains as big as 5,269%... 9,125%... and even 50,533%...once the free fall begins. It’s actually far easier than predicting stocks that will win. Stocks destined to lose have no chance. 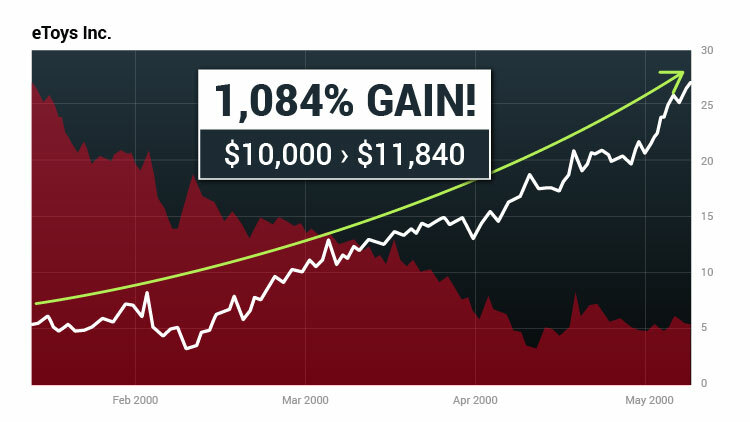 And I’ve prepared an easy-to-follow guide that could direct you to profits of 1,000% – or much, much more – on the inevitable demise of each of these stocks. My strategy has nothing to do with shorting stocks. The risk there just isn’t worth the reward. Switches directions and starts falling in line with what it’s actually worth. You’ll make a play based on how far you expect a stock to fall. And we’re not making any blind guesses. We’re using a series of proven indicators – including my Projected Price Indicator – to determine the exact value of the market’s most toxic stocks. So we can know with hard data that a $100 stock is set to fall to $75... $50... or even $25. There’s always a slight possibility that a garbage stock will – against all odds – defy nature and continue to rise. After all, as with all investing, nothing is guaranteed. And any loss is limited to what you put in. That’s what makes my strategy so much better than shorting! Look at a company like American Capital. And the only one trading on the S&P 500. But it didn’t take long for this “untouchable” stock to take a turn for the worse. When this ship sank... it went fast. In fact, it fell all the way from around $20 in October 2008 to less than $0.50 in March 2009. That’s more than 97% in just six months! Had you invested in this company the regular way, you would have LOST $970 of every $1,000 you invested. 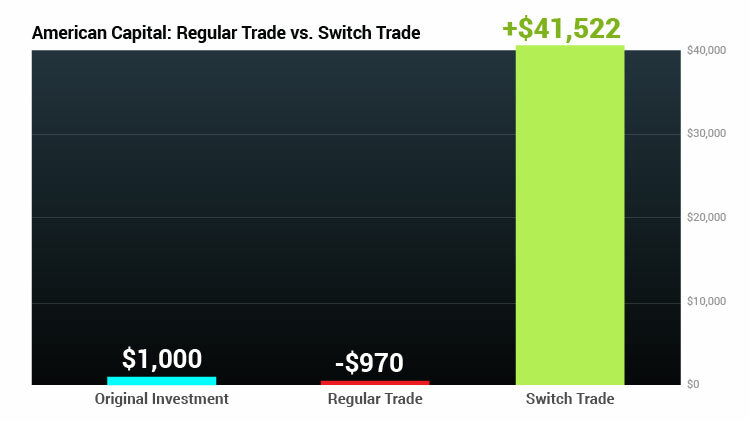 And you could’ve executed a switch trade that would have turned that same $1,000 into $41,522. It’s pretty easy to see which trade you should make. Look at retail real estate giant the Macerich Company. Within six short months, this stock dove from $59 per share to a measly $5. Once again, had you invested in this company the regular way, you would have lost $915 for every $1,000. That same $1,000 would have turned into $186,077. But most investors are missing out. I’m inviting an elite group of smart investment-minded individuals to join me for the launch of my latest proprietary research service, Switch Trade Alert. This service will act as your personal road map to the Great Correction of 2018. And potentially collect gains of 1,000% or more starting in the days ahead. 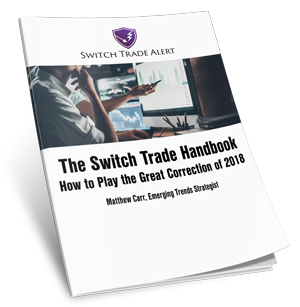 Keep in mind... my goal with Switch Trade Alert is to ensure that you collect huge, life-changing gains through the Great Correction of 2018. Enjoying the stress-free lifestyle that comes from achieving the type of financial success most can only dream of. And remember, there are always companies out there that are built on quicksand... and ready to sink. 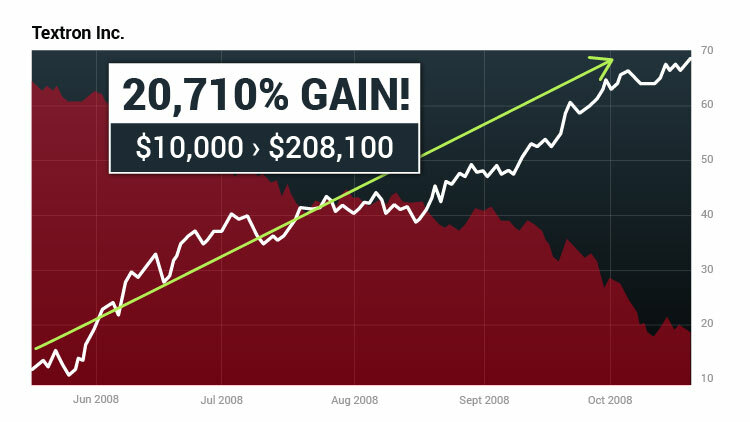 It doesn’t necessarily take a bear market to send a stock crashing 20%... 30%... even 70% or more. I will help you identify them in any market so you can make a switch trade and bring home serious gains routinely. And most likely to crash in the days ahead. If a stock doesn’t fall in line with my very strict standards, I won’t recommend it. It’s also very important to me that we keep our risk as limited as possible. All adding up in your account. A small stake of just $1,000 in each could total $294,767 over time! 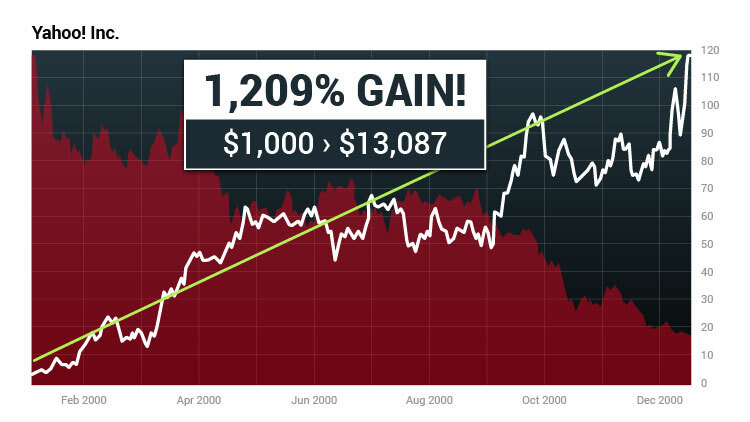 Now of course, gains this high are rare, and past performance doesn’t guarantee future success. But with the incredible power of my Switch Trade Alert, this could be your reality. I’m telling you, this is the ONLY time you’ll find yourself cheering as a stock goes down! And believe me, it’s a very different feeling... It’s such a relief not having to worry about your stocks. All you have to do is pinpoint the weakest links in the market. The first is an outdated mobile technology R&D company. 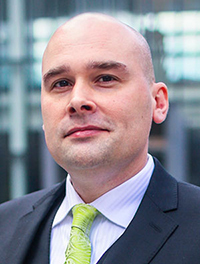 It’s known as one of the most fearsome patent trolls in the industry. But it’s starting to look like the jig may be up. Downward projections – expected to continue falling by 77.3%. My Projected Price Indicator shows that it’s not worth more than $15 per share. That means it’s overvalued by as much as 77%! And returns went on to soar 5,709%... 11,375%... even 18,136%. The profit potential here is truly unlimited. The same goes for the second stock I’ve identified. And return on equity is down 52%. Investors stand to lose about 76% of their money. And possibly even wind up with a gain of 20,710% when all is said and done. Your third potentially life-changing switch trade has to do with a chain of suffering domestic merchandise retail stores throughout America. And I expect them to continue tumbling in the weeks ahead. And give you the chance to rake in a gain of 20,000% over time. It’s the first thing you’ll get when you join my new service today. Each designed to help you secure huge gains on these stocks as they’re put through the incinerator. The price of my service is $4,000. I’m sure you’ll agree it’s worth every penny. And the extraordinary $506,000 in five months from AIG. My plan is to guide you through the correction. I expect the markets to remain in turmoil for one year, but beyond that I’m not sure. So for this price, you’ll receive my research and recommendations for the duration of the correction. 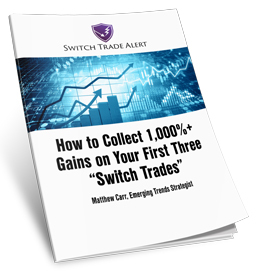 My goal with Switch Trade Alert is to help you capture huge gains of 1,000% or more. And the Great Correction of 2018 is set to deliver them in spades. But if you decide playing bad stocks is not for you and you don’t see the chance to collect at least one life-changing 1,000%-plus gain over the next 12 months per my track record... my publisher at The Oxford Club, Julia Guth, has authorized that you can switch over to any other Oxford Club VIP service instead. I really doubt that will happen. After all, there are so many poorly run companies out there that collecting big gains on them will be like shooting fish in a barrel. In fact, I think it’s going to be a lot of fun targeting these mismanaged firms for big gains. But I put this guarantee in place so you feel comfortable as a new subscriber. As a new subscriber, you’ll receive one to three switch trade recommendations every month – for the next 12 months. In the middle of what could be the biggest correction of our lifetime! And will outline everything you need to know about the biggest opportunities on my radar. Complete details and analysis on some of the market’s most overvalued stocks. I’ll show you why sales are a disaster... why management is clueless... and why the stock is set to tank. An inside look at where these stocks should be trading, according to my Projected Price Indicator. 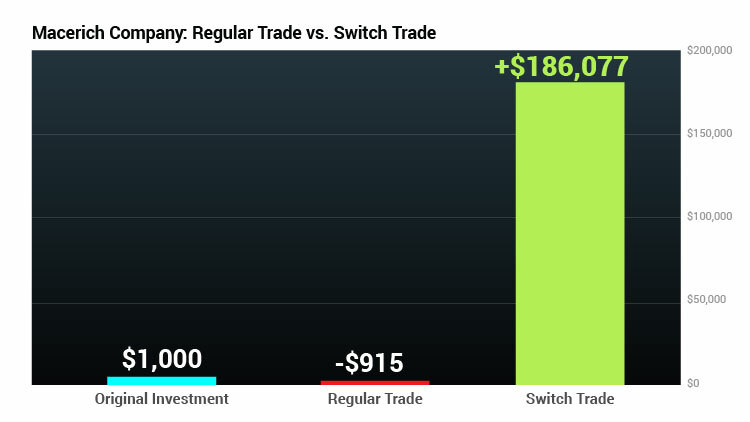 A specific switch trade that you can execute to collect huge profits when these stocks free-fall. Of course, that’s in addition to the first three switch trades you will receive today in my special report. You should also expect to receive weekly updates on each of the recommendations I make. My goal is to help you collect huge gains – perhaps as much as 5,269%... 9,125%... or even a rare 50,533% – on each of our trades. And staying up to date is the best way to ensure you always know exactly what to do. Especially throughout the Great Correction of 2018. I’m accepting only 250 new subscribers today – on a first-come, first-served basis. And I plan to deliver. Maybe even within the next few hours. On the one hand, you could ignore my message. Despite all the warning signals. And you could completely avoid preparing for the Great Correction of 2018. Chances of them rising much higher are slim. But the odds of finding the one gem aren’t great. Or $12.8 trillion in the Great Recession. Starting with your first three switch trades. And in the coming weeks, you’ll hear about dozens more just like them. But only if you’re among the first 250 to respond to my invitation today. For complete details, simply click the button below now. As well as a secure order form to accept one of the limited 250 spots. Of course, if you prefer, you can also contact our VIP Trading Services Team at 888.570.9830. They’ll be happy to answer any questions you may have and get you started with your new Switch Trade Alert subscription. I look forward to welcoming you as a charter subscriber of Switch Trade Alert.